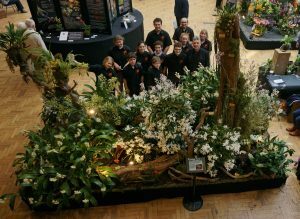 A final photo of our London Display now all the plants are safe back in the school greenhouse and a big thank you to the fantastic team of students and parents that worked so hard on Wednesday. The next show we are attending is the Devon Show in Budleigh Salterton on 13th May. Our next show at school is July 1st.